Eradication of invading pathogens has been a prime challenge for human being since beginning. Over the period, fungal resources turned out as one of the best resources for medicinal purpose. Scientific investigations and outstanding discoveries provided various lifesaving medicines which are extracted from fungal source. 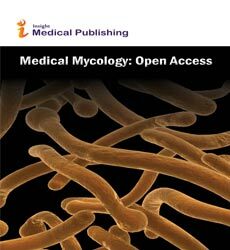 To encourage the scientific discussion and update the information, the platform of Medical Mycology: Open Access has been established as a unique and important periodical. The journal considers articles confined to the relevant areas of medical mycology in general. This peer reviewed journal would like to establish as a reliable scientific information resource with the sole objective of fulfilling the global requirement of the academicians, researchers and scientists. All relevant topics in the arena of medical mycology encompassing various novel compound extractions from fungal sources, use of different drugs such as ciclosporin, penicillin, statins, cephalosporin, ergometrine etc., novel application of fungal biochemical and microbiological tests for pharmaceutical purposes, studies in mycotoxicology are welcome. Authors are encouraged to share their ideas and valuable research outcomes through this platform and provide the global readers, especially, microbiologists, clinicians, physicians, researchers in toxicology with updated and most important information in the subject. Medical Mycology Case Reports, Journal of Mycology, Mycology An International Journal on Fungal Biology, Virology & Mycology, Journal of Medical Microbiology & Diagnosis. Mycology,Korean Journal of Medical Mycology, Field Mycology, Medical Mycology Case Reports, Studies in Mycology. Veterinary mycology is a branch deals with identification of veterinary fungi, pathophysiology and diagnosis of fungal infections, pharmacodynamics of antifungals in animals, epidemiology of animal mycoses, eradication and vaccine development against invasive veterinary fungal infections. Epidemiology: Open Access, Paediatric and Perinatal Epidemiology, Journal of Epidemiology, Annals of Epidemiology, Clinical Epidemiology. Fungal Biology,Fungal Diversity, Fungal Biology Reviews, Fungal Ecology, Current Fungal Infection Reports. Epidemiology is a branch related to distribution of diseases among the population and the study to control health problems. It mainly focuses on public health. The main objective is to prevent premature deaths and disability from major health conditions and to promote health among individuals and populations. Journal of Immunooncology, Journal of Infectious Diseases & Therapy, Journal of Clinical Infectious Diseases & Practice, Immunological Disorders & Immunotherapy, Journal of Meningitis. Journal of Bacteriology & Parasitology, Journal of Microbial & Biochemical Technology, Journal of Clinical & Experimental Pathology, Journal of Medical Microbiology & Diagnosis, Journal of Tropical Diseases & Public Health. Medical Mycology, Japanese Journal of Medical Mycology, Current topics in medical mycology, Korean Journal of Medical Mycology, Medical Mycology Case Reports. The fungi that are responsible for causing diseases in humans, animals and plants are referred to as Pathogenic fungi. Many of pathogenic fungi are naked in nature although they are eukaryotic. Candida species, Aspergillus species, Cryptococcus species, Histoplasma species are pathogenic in nature. Zygomycetes are also known as Zygote fungi. The name Zygomycetes is named due to the production of spherical spores during sexual reproduction. They are usually characterised by aseptate hyphae. Some of the zygomycetous fungi are Apophysomyces elegans and Saksenaea vasiformis. Virology & Mycology, Field Mycology, Medical Mycology Case Reports, Infection, Genetics and Evolution, Infections in Medicine. Ascomycetes is the sub division of subfamily Dikarya. They are commonly known as sac fungi because they produce spores inside sacs. Pencillium species on cheese, Xylaria species, cordyceps fungi are some of the examples belong to this group. The potential of fungi to cause diseases in the host. Most of the fungi are unicellular or filamentous. Changing cell shape or size is the new approach of fungi to sustain in the host body and cause disaease. For instance, Cryptococcus neoformans germinate spores in enlarged capsule which is antiphagocytic, immune suppressive and conceals the host antigens. Journal of Bacteriology & Parasitology, Journal of Microbial & Biochemical Technology, Journal of Medical Microbiology & Diagnosis, Cellular and Molecular Biology, Journal of Molecular and Genetic Medicine. Hyphomycetes are also referred to as Deuteromycota or fungi imperfecti. These include Aspergillosis, dermatophytosis, hyalohyphomycosis. Gliocladium, Madurella, Geotrichum are some of the genus included under this phylum. They are identified by the shape, size, colour and texture of conidia. Many of hyphomycetes produce mycotoxins that affect human health. Subcutaneous Mycoses are chronic infections affecting subcutaneous tissue after skin trauma. This disease is more prevalent in tropics.Usually characterised by verrucal lesions. The causative fungi are saprophytes. Chromomycosis, Mycetoma, sporotrichosis, basidiobolomycosis, Rhinosporidiosis, Lobomycosis are the examples of subcutaneous mycoses. This infection is pertained to deep dermis and subcutaneous tissue and sometimes may also extend to underlying bone. It is a chronic infection results in inflammation caused by actinomycetes. Foot and hand are commonly infected through the sites of trauma. Lesions on the chest, back, head and neck are also seen. Disease transmission is through facial planes. Lymphatic spread is uncommon. Histoplasmosis is the disease caused by Histoplasma capsulatum. This infection mainly targets a lung which is caused by the inhalation of spores found in bird and bat droppings. In immune compromised individuals and AIDS affected people this infection is serious. Dry cough, Head ache, Muscle aches, fever, chills, joint pain are the symptoms noticed. The chance of this infection is more among pest control workers, poultry keepers, cave explorers, patients under cancer chemotherapy and individuals undergone organ transplantation. Coccidioidomycosis is also known as Valley fever caused by fungus Coccidioides immitis. This infection is caused by the inhalation of fungal spores. Symptoms are head ache, joint pains, muscle aches, cough, fever,fatigue and usually appear within 3 weeks after inhalation.Infection spreads from lungs to other parts like CNS, bones and joints. Coccidioidomycosis is endemic in western hemisphere. Fungal infections are caused by yeast and dermatophytic fungi. Aspergillosis, blastomycosis, histoplasmosis, sporotrichosis, coccidioidomycosis, candidiasis, athlete’s foot are the common fungal infections. Fungal infections lead to red, itchy skin. Antifungals agents are used to treat mycoses. Depending on the severity of infection antifungal treatment is available in the form of paints, lotions, creams. Maintenance of good hygiene is the best preventive measure. Otomycosis is the fungal ear infection. It affects external auditory canal. Mostly caused by the invasion of Aspergillus spp and Candida spp. Symptoms include earache, fever, mild deafness, vertigo, ear discharge. Otitis externa, Otitis media, vestibular neuronitis are some other fungal ear infections. Causes may be upper respiratory tract infections, swimming in polluted water, sudden changes in air pressure. Rosacea, Seborrhis eczema, Cold sore, Carbuncle, Impetigo, Canker sore, Herpes stomatitis, Ichthyosis vulgaris, Acrodermatitis are the common facial fungal infections. These are superficial caused by Staphylococcus aureus and Streptococcus pyogenes. Symptoms include reddened skin, painful and sometimes accompanied by malaise and fever. Treatment is done by Dicloxacillin, Azithromycin, Amoxicillin and Vancomycin. Fungal diseases are referred as mycoses. They are classified again based on the penetration levels in the body. Superficial mycoses causing fungi grows on the skin. Subcutaneous mycoses penetrate below the skin to even connective and bone tissue. Cutaneous mycoses affect only superficial layers of the skin, hair and nails. Deep or systemic mycosis is fatal and infects internal organs of the body. Fungal infection of the sinuses is the major cause of chronic rhinosinusitis. Mycetoma Fungal Sinusitis, Allergic Fungal Sinusitis, Chronic Indolent Sinusitis, Fulminant Sinusitis are the different types of Fungal Sinusitis. Allergic Fungal Sinusitis mostly seen in immunocompetent host. Fulminant Sinusitis and Chronic Indolent Sinusitis which is invasive are seen in immune deficient hosts. Surgical removal of the fungal material is the recommended therapy for Fulminant Sinusitis and Chronic Indolent Sinusitis. Fungal infections are becoming endemic due to climatic changes, change in lifestyles. In modern times it has become easier to diagnose by the advancement in diagnostic radiology and tissue biopsy studies. Blastomycetes dermatitidis, Cryptococcus and Aspergillus conidia are diagnosed by budding yeasts. Rhinosporidium seeberi diagnosed by the presence of spherules with multiple endospores. Fungal infections treatment is broadly categorised into oral antifungal medication and topical antifungal medication.Oral medication is given when the infection is severe, interactions with other medications, resistance developed towards topical antifungals. Oral medications are preferred in case of dermatophyte and candidia species infections. Topical treatment is adjuvant to oral therapy for tinea barbae. Mould skin infections, yeast infections are treated through topical therapy. Yeast infection treatment depends on the severity of the infection whether complicated or uncomplicated. • Uncomplicated yeast infection includes short course vaginal therapy in which clotrimazole, micanazole,terconazole are the medications and single dose oral medication in which Diflucan is administered. • Complicated yeast infection includes Long course therapy where medications are administered in form of ointment, vaginal cream and suppository. Multiple oral treatments involve fluconazole medication at two or three doses. Maintenance plan involves continuation of fluconazole weekly for six months or clotrimazole weekly as suppository replacing fluconazole. Clinical mycology deals with fungal laboratory diagnostic tests, morphology of fungi and moulds. It gives information about serologic tests for antibody, antigen and fungi metabolites. Clinical mycology calssifies infections based level of penetration and severity.It elucidates about antifungal susceptibilities testing and clinical findings.